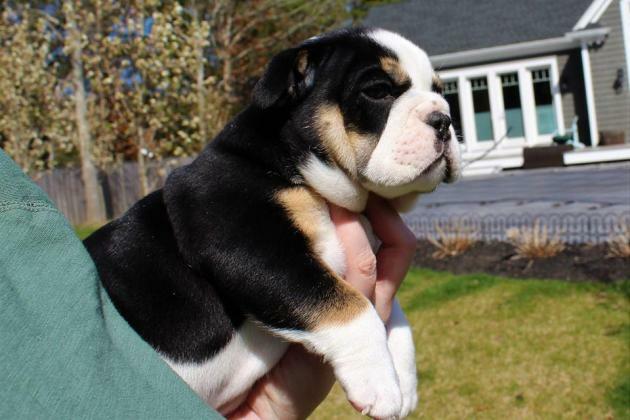 Adorable 11 weeks old, purebred English Bulldog puppies. AKC Registered, we have all their papers. Sweet, affectionate, playful. Doing well with potty training and going outside. All shots. Good with other dogs.